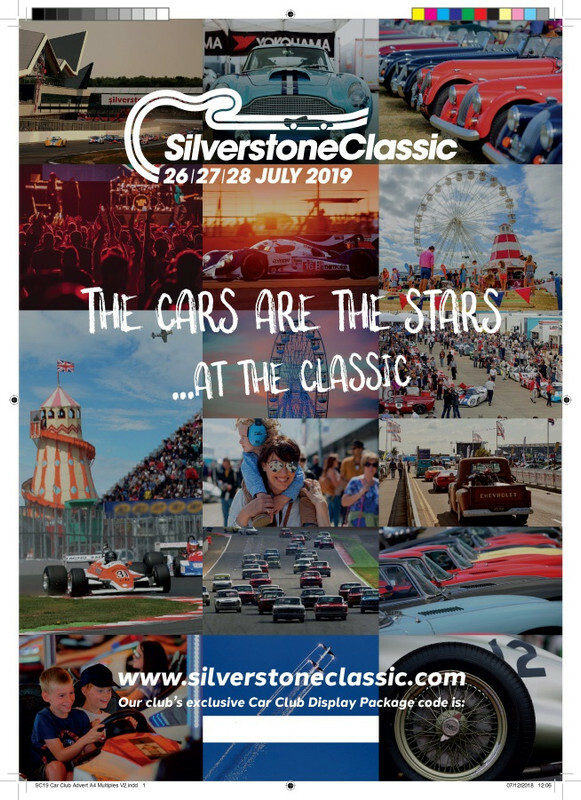 We have decided to have a club stand at the 2019 Silverstone Classic on the Saturday only. Early Bird tickets are available but to get the lower price you need our unique club code. Please let me know if you wish to book, by using our code it ensures that members get the correct price and are included on our stand. We are only making the code available to members attending on the Saturday, being part of the MX5Driver stand. Tickets are available Silverstone Classic Tickets. The Early Bird price is available until 31st December, please contact me for the Club Code. More details to follow as and when, please let us know if you will be attending on the day. Yes please, can you put us down for this? I can only usually make the friday, in 2016 and 2017 my son and I held the fort against the grumpy MX5 club members. We are thinking about booking for 2019, the code would be useful, thanks. The code is only available for those that are going on the Saturday. This looks like being a cracking event. I think I'll come along but my old motor is not in good enough condition at this juncture to show on the stand. What I'll do is get an early bird ticket and mosey along to see you all when I get there. Guy, as Ian says you should be on the stand WITH your car. It will be a great addition, we are there for our pleasure and that of visitors and your car will show people what we are about, enthusiastic and keen to keep these cars on the road. So, please be part of the team for the day. I've got the go ahead so I'll get on to buying a ticket soonest. Just one thing though,.......are there any ramps to drive over to get to the stand? You'll have no problems Guy.